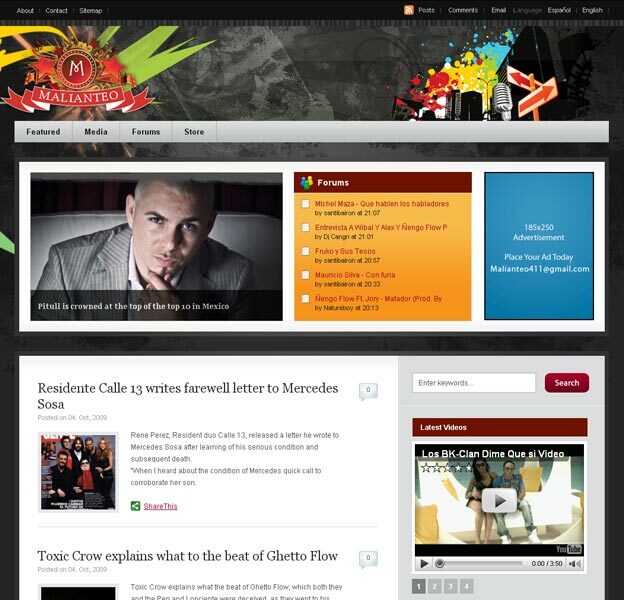 Mailianteo, LLC | RDX Solutions, Inc.
Project Description: Malianteo, LLC is a Spanish/English based community that delivers the latest in Latin Entertainment news to the Latin market in North America. Malianteo initially started off as a forum and grew to a community of over 200,000 members. With over a million hits per month, it was now time for Malianteo to expand it’s operation and launch a web based community that included a new brand image, blog, forum, media section, and an online store. This is where RDX Solutions came in. We helped the company design a new website according to the set forth requirements and setup a dedicated hosting environment with redundancy in network that would allow them to handle 10 million users per month without any hiccups.